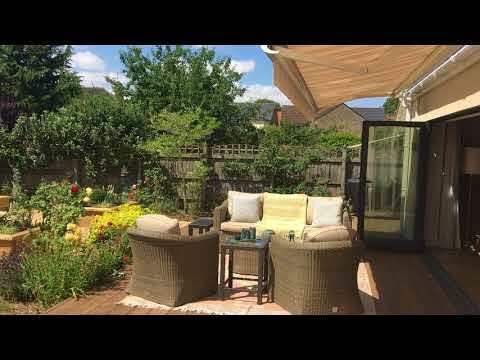 Progressive Systems specialise in supplying sun awnings for the home and nurseries. 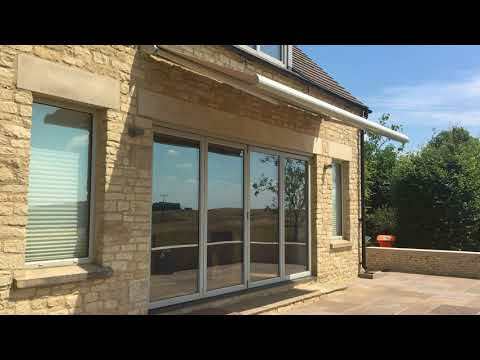 Our sun awnings are high quality, high specification awnings, designed and built to last. Every awning comes complete with a fully enclosed box and so can be wound right in, protecting it from exposure to bad weather all year round. Our fabrics are woven from solution-dyed acrylic with exclusive treatments which give them strength, colour resistance, long life and stain protection. The quality of our fabric is checked in the laboratory according to very strict specifications: weight of the fabric, water repellence, tear resistance, tensile strength and resistance of colours to UV radiation. All our awning fabrics screen out virtually all harmful UV rays. A common misconception is that sheltering in the shade, eg under a beach umbrella, protects you from the sun’s harmful UV rays. This is unfortunately not the case. Fully enclosed box and extending arms in white as standard. Sepia brown, anthracite, silver, ivory and cream are available as alternative colours. We can also powder coat the box to any RAL colour of your choice as a bespoke option.